Jordan Brooks: After months of hype from Cannes and various other festivals, “Foxcatcher” was finally released last weekend. It is because of this six-months plus of waiting – the same heavily dark trailer playing before every movie for the last three – that i found it difficult to separate the tension produced by the cinematic elements of the film, and those pre-conceived notions I developed before I even knew the release date. I think that, at its core, “Foxcatcher” is a film about preconception – both in the thematic elements of the film, and in the reality that surrounds it. The story itself is an extremely interesting one, and one that E. Max Frye, Dan Futterman did a wonderful job adapting from reality. The dialogue was slow and deliberate, as was the story itself. The film was well paced and Bennett Miller’s commendable direction elevated the tension to a menacing level. Several negative reviews have mentioned a sense of boredom during the film, but I found the opposite to be true. Even with prior knowledge regarding the story, I still found myself on the edge of my seat throughout. What were your thoughts on the tension created by Miller? Did you find yourselves mentally involved, or was the film lacking some crucial element? 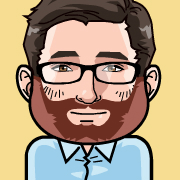 Zack Miller: As you mentioned, it was hard not to ride the hype train straight through the theatre lobby and into my seat when I saw “Foxcatcher” back in September. The trailer had already been circulating the internet for a year at that point and my anticipation had peaked after the reviews — and news of Bennett Miller’s award for directing — coming out of Cannes. While I found myself a bit underwhelmed in the wake of those expectations, I certainly wasn’t bored at any point, nor did I find that the film was lacking any crucial elements. In fact, the handling of a publicized true story was commendable and even drew audible gasps from the majority of my sold out festival audience during the third act climax. It reminded me of “Fruitvale Station,” another film that faced formidable challenges in building tension around an inevitable ending. The end result is the same, but “Foxcatcher” is a much better film on the way to its version of a riveting finale. What made Miller’s direction so interesting to me was the carefully calculated dissonance he was able to strike. The tone is engaging but hostile, cold but not clinical. He is, of course, working with some incredible talent, and the benefits of this partnership are evident from the first frames; alone in his apartment, Channing Tatum positively simmers. Miller slowly and assuredly fans that heat into a flame over the next two hours. If it sounds like I’m mixing my metaphors by talking about heat and flames in a film that I just called cold, all the better for capturing the enigmatic energy that emanates from the screen. Jordan: I know exactly what you are talking about when you “mix your metaphors.” With each performance, the characters seem coldly distant, yet have the seething potential to boil over at any minute. Miller likes to remove himself from the film; distancing himself from the action. Therein forcing a disconnect between his audience and his subject, Miller can tell the story more objectively, and further alleviate the preconceptions that surround both the actors and their character’s intentions. His tactics add a voyeuristic nature to the film, but also incite a conflict between audience perception and expectation. In my theatre, I found that many people in my nearly sold out showing were laughing at the awkwardness or Carrell’s John (Eagle) DuPont, but as the film wore on, the laughter turned to nervous chuckling, and eventually a tense silence overtook the crowd (unfortunately for me, I must have been seated in front of 1987 “Raw” Eddie Murphy, whose nerves were audibly palpable like Ryan Gosling’s leather clad knuckles on the steering wheel in “Drive”). Miller is spectacularly calculating, in that, as Taylor mentioned below, his camera is unmoved by the action taking place in front of it. He does not manipulate mood with fast cutting, or hard angles (save for his depictions of wrestling), and refrains from any noticeable flourishing. Apart from several scenes (the spectacular hotel room scene comes immediately to mind), Miller shoots from a fixed point and allows his actors to “breathe” within in the frame. Which inevitably leads to the high point of the film, the acting. Channing Tatum’s Mark Schultz (and I still have trouble writing this) was incredible. From his disquieting moments of silent reflection, to his explosive outbursts of emotion, Tatum truly dove into this role. His tender and intimate moments with Ruffalo’s Dave Schultz, and the awkward, and eventually hostile relationship with Carrell’s DuPont, show an expansive range of emotion, all of which I was (delightedly) surprised emanated from Tatum’s hidden capabilities. Ruffalo’s performance is equally as memorable, as the calm, level-headed older brother. Playing various roles in his interactions with Mark; acting as a father, and mentor; a mother, and emotional supporter; a brother ,and a rival, Ruffalo transitions easily between the three distinct personalities. Further expanding into Dave’s life as a coach, a father, and wrestling icon, Ruffalo shifts innumerably, and is truly awe-inspiring to watch. Steve Carrell’s performance is probably the most anticipated of 2014. A maniacally serious part, and with enough facial-prostetics to render him unrecognizable, Carrell is terrifying. Miller knows his audience, and uses this to his advantage when introducing the character to both the audience and Mark. Building impatience and expectancy in the opening scenes, Miller devastates his audience by having Carrell casually enter the film as if nothing is wrong. Josef: I have to say I hated this movie to an unbelievable degree, more so after reading the true accounts of John DuPont’s odd behavior. Bennett Miller is a director with whom I’ve always had a lot of issues, in the sense that his films exist almost entirely to be nominated for awards. His two features before this – “Capote” and “Moneyball” – have both been nominated for at least five Oscars, and I have no doubts that “Foxcatcher” will endure a similar fate. 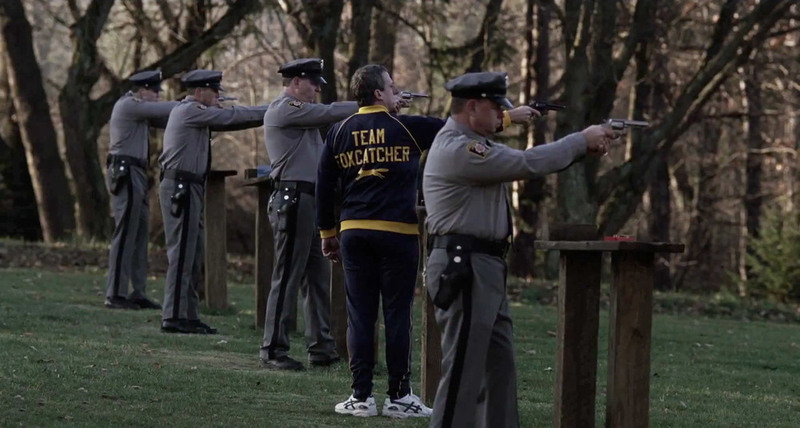 With that being said, of his three narrative films, “Foxcatcher” is undoubtedly the most frustratingly arduous. Nothing about “Foxcatcher” is made to appeal to any kind of audience, and is instead geared towards Academy voters who are being tricked into thinking they’re watching art. Jordan: I personally did not get the impression that the actors were being smug about their performances. To me, with Carrell and Tatum especially, their portrayals seemed to be a challenge to which they were rising. Ruffalo is undoubtedly the most talented of the three, so the other two needed to make up a lot of ground in order to match him. I agree that the themes were underdeveloped and standard, and that the prosthetics on Carrell were mostly used to disguise him as an actor rather than make him look like John DuPont. Josef: I think their means exceeded their grasps quite obviously, and the self-seriousness of the performances and the film are both overt and unappealing. Of the three, Ruffalo stood out to me as the most accomplished, offering fans another suitably low-key, layered portrayal. The other two, however, just didn’t do it for me no matter how much they tried to sell it. Tatum starts out promisingly, and I’m actually a huge fan of his work, but it just began to feel so vainglorious to me at around the twenty or thirty minute mark. Zack: Tossing out your “Oscar-bait” card so early seems shortsighted. “Foxcatcher” is far from being critically panned, so it’s certainly found an audience outside of the awards season gods. You recently offered some very high praise to Damien Chazelle’s “Whiplash,” a film that I found very similar to “Foxcatcher” in a lot of ways. They both hit a good number of the same story beats, both are elevated by the caliber of their performances, and the price of greatness takes center stage thematically in either film. While “Whiplash” barrels forward frenetically at its blistering jazz tempo, “Foxcatcher” builds tension in an ambient crescendo. Both films rely on (and feed off of) the energy of the viewers’ dread, but they carry it in different ways. “Whiplash” had me leaning forward in my seat; “Foxcatcher” had me shuddering back into it. What was it that clicked for you in one that was missing from the other? Josef: Sure, it’s not being critically panned, but it’s not necessarily being unanimously embraced either. I know I’m not the only critic who finds this film to be blatant Awards-bait, and I’m sure I won’t be the last. Don’t get me wrong, there’s plenty of Oscar-bait that I love, but “Foxcatcher” was not one of those films. “Whiplash” is a great comparison, and it’s the perfect film to illustrate exactly why “Foxcatcher” was created to win awards. “Whiplash” is a film of great power both sonically and emotionally. While watching it, one gets completely enveloped in the story, its characters, and its themes of the ends justifying the means to achieve greatness. Andrew’s progression from a good drummer to a great one is shown in excruciating detail. Blood is spilled, people scream at each other, relationships are severed, and words are hurled at the rate of a bullet whizzing through the air. “Foxcatcher” has neither the power nor the intelligence of “Whiplash,” and it’s a film that tries so hard to justify its existence with gorgeous cinematography and copious scenes of its characters pondering their lives and decisions. There are moments in the film, like the scene of Mark having to lose 15 pounds in 90 minutes, that had me riveted and on the edge of my seat because they were intense, beautiful, tragic moments of character development and honesty. The rest of the film, however, is shamelessly gutted of any personality and reworked to fit the aesthetic of a director who has been proven to garner major Awards attention with each and every film he makes. I’m not saying that “Foxcatcher” and “Whiplash” have to be the same movie. I’m saying that “Whiplash” gives viewers a million reasons to keep watching and dares them to look away. “Foxcatcher,” on the other hand, seems to condescend to its audience, equipped with a blasé attitude that will surely look down upon viewers who couldn’t possibly grasp its contribution to cinema. It’s pretentious, intermittently captivating, and not nearly as intelligent as it thinks it is. Zack: The first — and maybe the only — point I’ll agree with you on is that Carell’s prosthetic face was just absolutely goofy. I get where they were coming from; Carell has one of the most recognizable nice-guy-schmuck faces (the movie where he gets invited to dinner was so titled for a reason) in the business, and they needed to back away from that somehow. In this case, I guess “somehow” meant making his face look like a swath of greying flesh stretched over Michael Keaton’s “Birdman” mask. The true tragedy of Carell’s gaudy visage is that he’s putting on a spectacular performance under all those layers; a dead-eyed, chilling performance that is bizarre because it needs to be. As for the horses, I could take or leave those scenes, but I think your counterpoint about all the scandalous truths misses the mark. 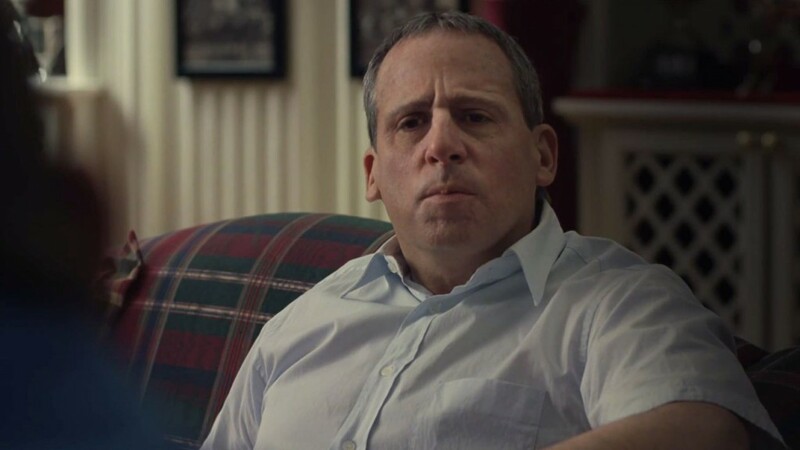 If “Foxcatcher” was filled with scenes of DuPont being outwardly deplorable, waving around machine guns and acting like a Bond villian, what of the nuance that Carell and the screenwriters have built? Josef: I have no problem with Miller’s attempts to build a tone and keep things nuanced and subtle, but he does so in a way that makes the final scenes a little bit more of a shock than they need to be. The whole tone of the film is uneasy, that’s easily established, but I don’t think Miller does enough to portray DuPont as the raging psychopath that he became. Many described him as a nice, affable kind of guy, which is reflected in the dramatic build-up to his arrival followed by a disarmingly casual encounter; that aspect of the film I enjoyed. But in painting a cinematic portrait of DuPont as a character and not as a person, I feel like Miller has missed an opportunity to create an important, truly bizarre, and enjoyable piece of work. He seems more concerned with maintaining a somber, quiet tone, and not in telling the story that probably should have been told. There was an article in Forbes recently that kind of recontextualized the whole ordeal, and the author cites a number of events that didn’t make it into the final product. I appreciate the fact that a filmmaker couldn’t possibly fit in every detail of a decade’s worth of events into little more than two hours, but Miller’s refusal to acknowledge the extremities of DuPont’s bizarre behavior and the intricacies of the connections between all three characters really weakens the film. I felt that the relationship between Dave and Mark was underdeveloped. The same goes for Mark and John, and John and Dave. All of these characters are paired up at some point throughout, but the film never gives the audience a chance to find the subtleties of the relationships, because Miller is already so obsessed with nuance that there’s very little of it in the actual movie. As a director, Miller has always had a great handle on tone, and maintaining a dark sensibility, but “Foxcatcher” takes things to an absurd level of sedation, and it completely robs the film of any entertainment value. 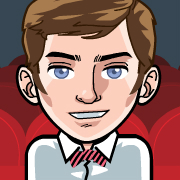 Taylor Sinople: I found “Foxcatcher” to be a successful actor’s showcase, but vastly underwhelming as a biographical drama. I felt Miller took advantage of our willingness to watch stoicism and internal conflict. DuPont is truly disturbing in his isolation and willingness to buy experiences he can’t create organically, but everything is treated with such utter flatness that it had little impact for me. It’s as if Miller is consciously pulling the film away from massive “Best Actor” moments, but goes so far in the other direction that we’re left with a very long, very static piece that I just couldn’t get into. I really enjoy static photography too, but this one was just stifling. I was also surprised to see how ineffectively Miller expressed the passage of time when it came to the third act and the murder specifically. Jordan: I would agree that the film in general was very underwhelming. Miller keeps such a distance that it is hard to understand any of the motivation behind DuPont’s “purchasing” of experiences. Not knowing the full backstory, it is impossible for me to decide whether DuPont willingly participated in the buying of his wrestling title or the various other cash-stuffed envelope exchanges. In keeping the audience withdrawn from the action, we are completely unsure if it is another “mother buying me my only friend” moment, or if he is just a deluded rich kid who buys recognition. Miller, and equally his writing staff, like to prey upon his audience’s expectations and the general lust towards scandal and medial speculation. The heavy-handed, yet ignored, sexual relationship between DuPont and Schultz seemed only as an attempt at creating interest in the two men’s bond, and as a way to drum up post-film conversation and retrospection. I could not agree more about the pacing of the third act. After sitting through two hours of a slow and methodical film, John goes crazy and kills Dave in the span of 10 minutes. EIGHT YEARS pass in that span. Surely there were some interesting anecdotes from that time of John slowly slipping into paranoid-schizophrenic delusion. Knowing that Dave’s murder would likely be one of the last in the film, I couldn’t believe it showed up so suddenly. 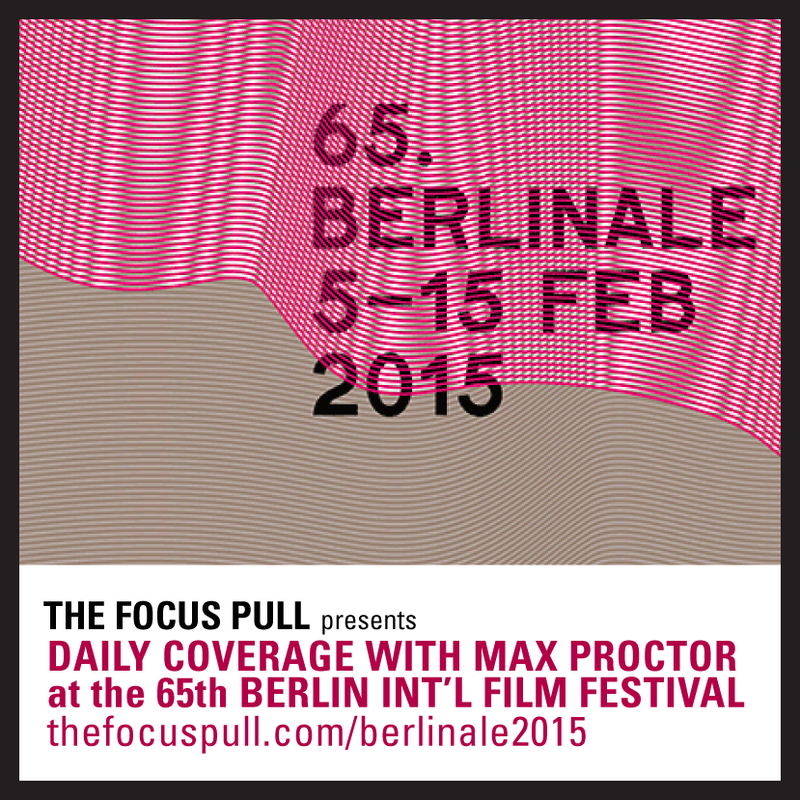 Jordan: I am absolutely in the camp that believes accuracy to reality/ previous fiction has no place in non-doc films. I don’t have a problem that 8 years pass in the small amount of time, so much as I felt like Miller forced the issue. As Josef mentioned, releasing of horses in a Terrance Malickesque sequence and DuPont’s other idiosyncrasies do not see like they would lead to such a blunt murder. If one of the main characters is going to slowly go insane, I would like to see him slowly do so (which, by the sounds of the real story, he did). Think our writers made some good points? Have a completely different opinion on “Foxcatcher”? Join the discussion in the comments below. A lifeless and insipid sci-fi clutter starring two very uninteresting leads, "Jupiter Ascending" sees the Wachowskis full of creativity and ambition but completely lacking in both story and sense. Although “22 Jump Street” sometimes feels like jokes in search of a movie, the self-aware humor and chemistry between its two leads keep the film from going off the rails.